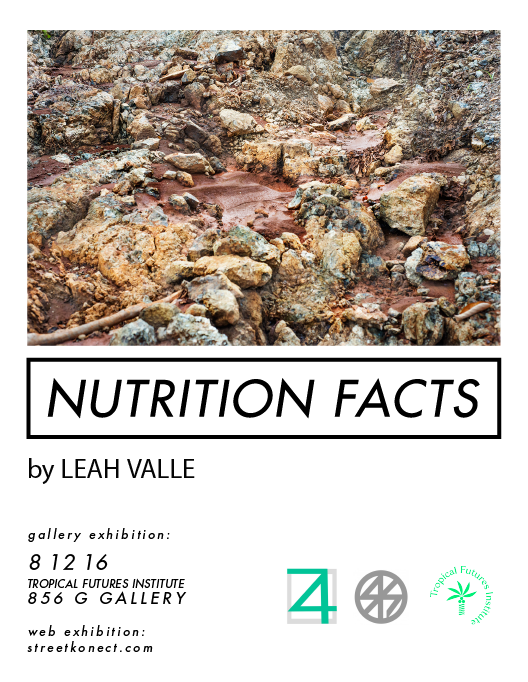 Nutrition Facts is a photographic series of Banaybanay mining sites by Leah Valle will be exhibited at 856 G Gallery on August 12, 2016. There is also a parallel web exhibition on http://streetkonect.com. This exhibition is a StreetKonect and Tropical Futures Institute project in collaboration with Rm. 74.